Are you a secret tailgater? There are some things in life that are best done secretly and I don’t think I need to spell them out for you, do I? Ok then, if I must then let’s talk about shameful things like speaking to your ex on a social media site, licking the stuff that was stuck onto the bottom of the pot and watching Coronation Street. All of these are bad things to do and you might very well end up in a hot place for eternity if you keep on doing them in secret. Sure, you might not be able to resist a little chat, some burned potatoes or the latest adventures of Ken Barlow. Actually, is Ken Barlow still in this show? Empires have risen and fallen while this character still lives in the same blooming street. One of the strange things about Corrie is that no one admits to watching it yet its viewing figures are consistently not zero. This is due to what doctors call Secret Corrie Lover Syndrome. The same sort of thing happens with tailgaters. The longevity of uninspiring soap opera characters aside, one of the most annoying things in modern life is the tailgater. These are the people who drive up right behind us and frankly leave us slightly miffed. A recent survey revealed that 95% of us worry about tailgating more than any other aspect of motorway driving. Yet, over half of us admit to doing this. Does this mean that we secretly tailgate while worrying about others doing it to us at the same time? I reckon that it is time to break this vicious cycle. Let’s all stop tailgating and then we can all stop worrying about it. What do you think? If you could all please stop watching rubbish soap operas as well then maybe they’ll start to put something better on the telly instead. Do you admit to being a secret tailgater? Are pet names for cars more common than you think? 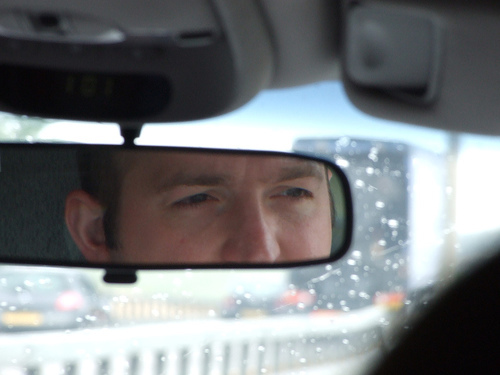 Should you be afraid of Google’s eavesdropping car? This entry was posted in News and Views, Reports and Surveys and tagged motorway safety, road safety, safe driving, survey, tailgating by Robert Bell. Bookmark the permalink.